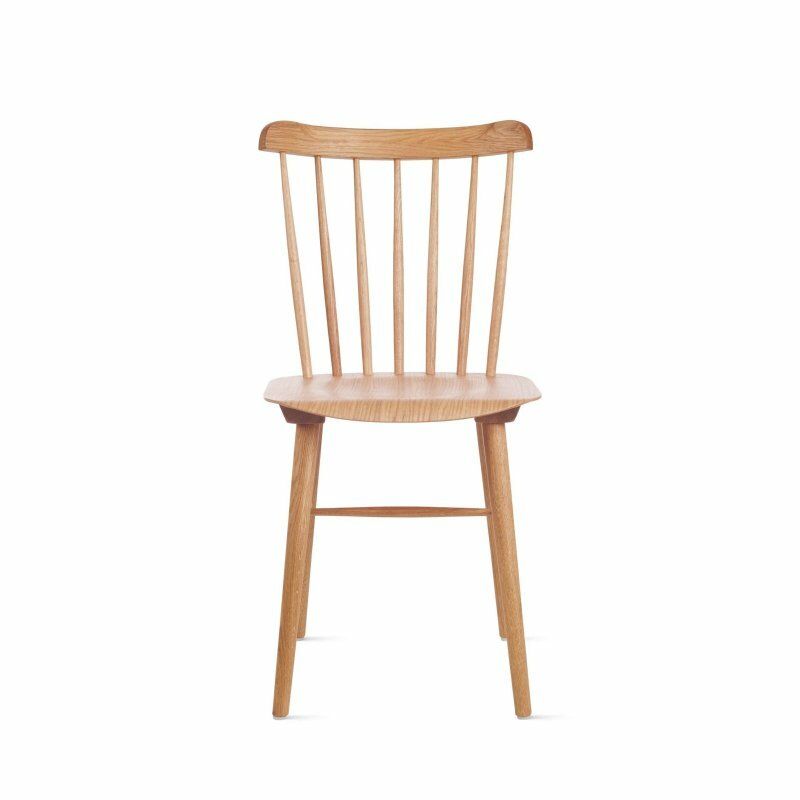 359 Kimble Windsor Chair is a transitional Windsor chair with a natural and simple aesthetic, designed by Matthew Hilton for De La Espada. 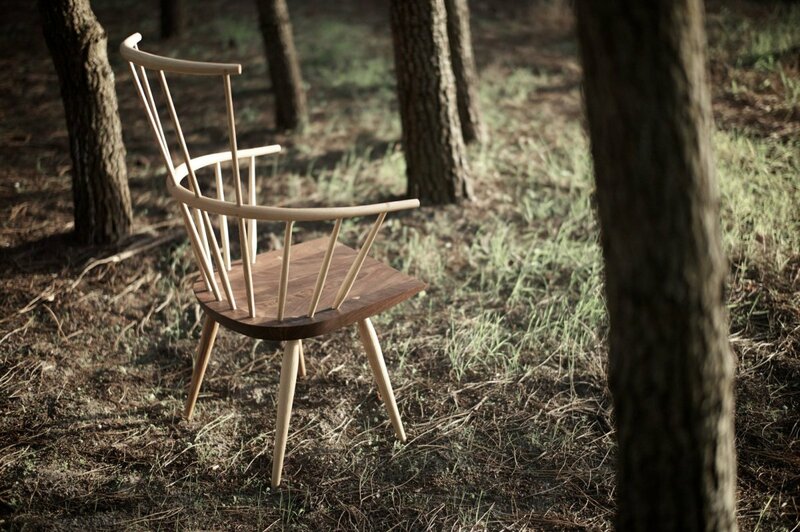 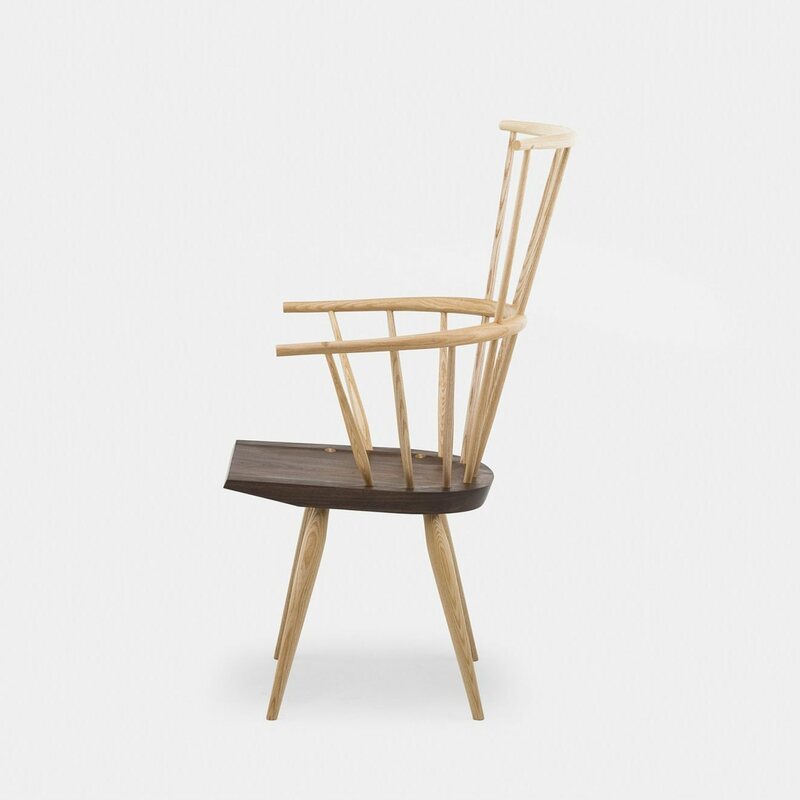 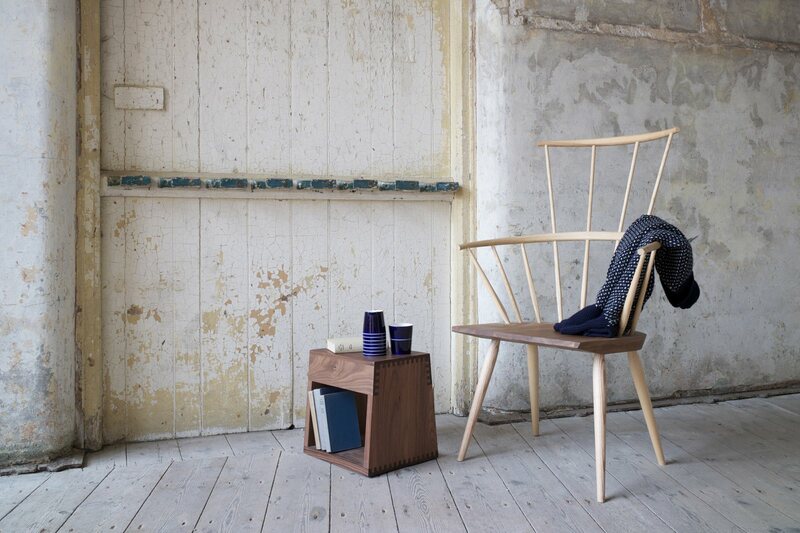 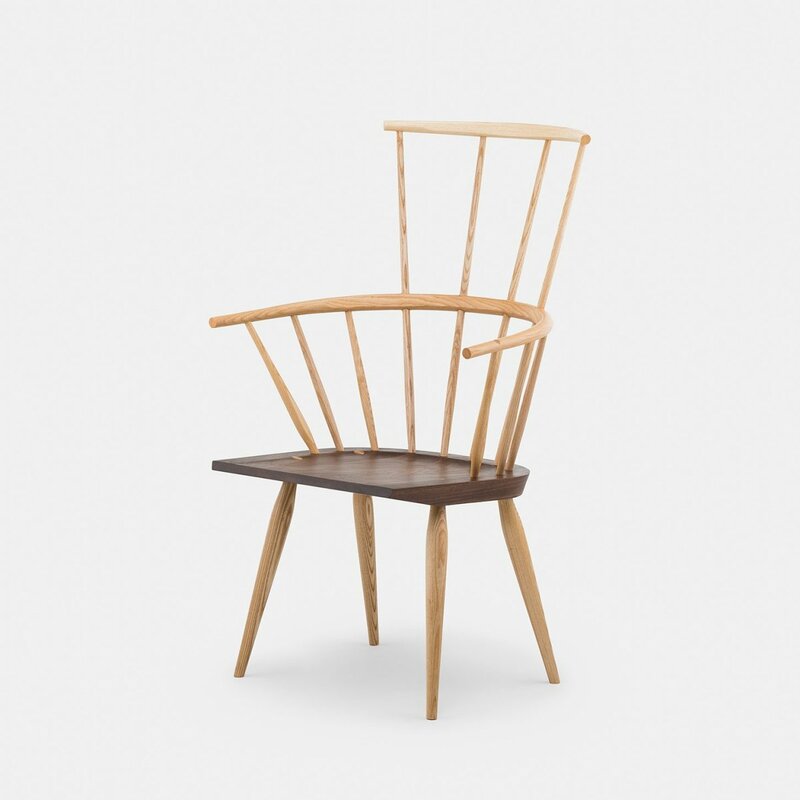 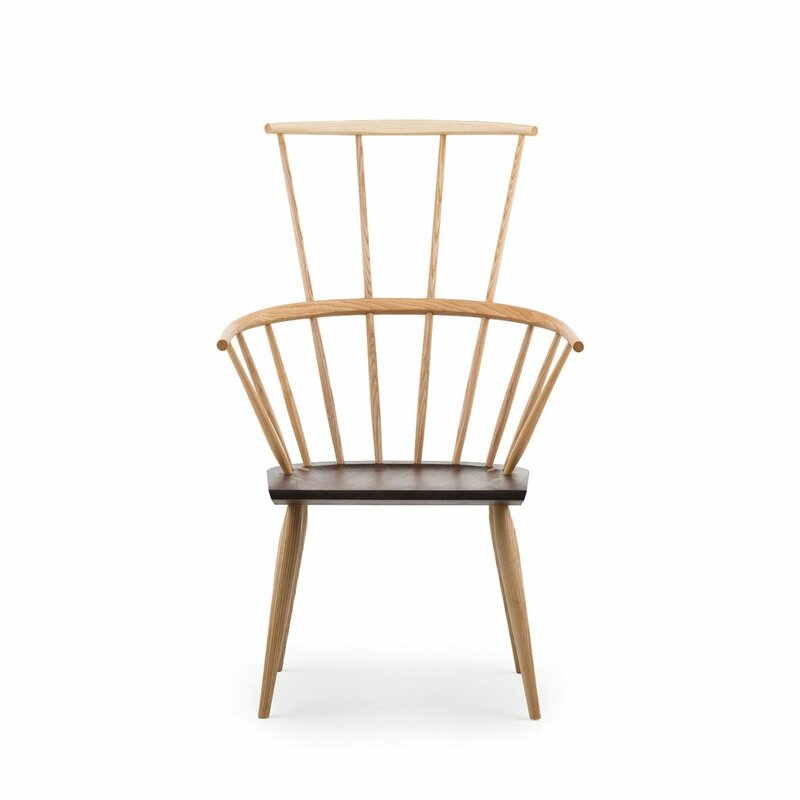 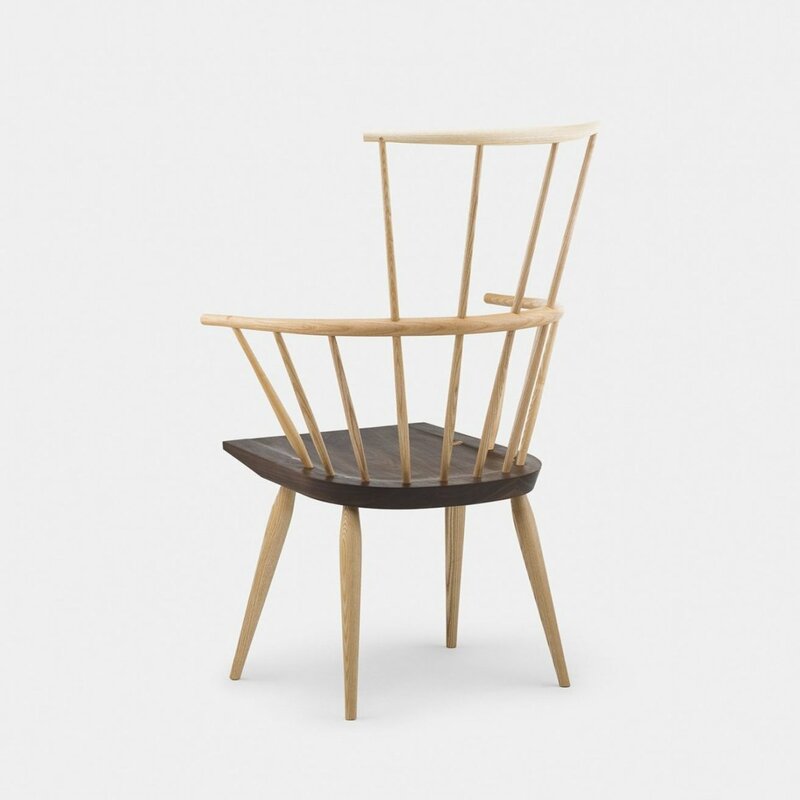 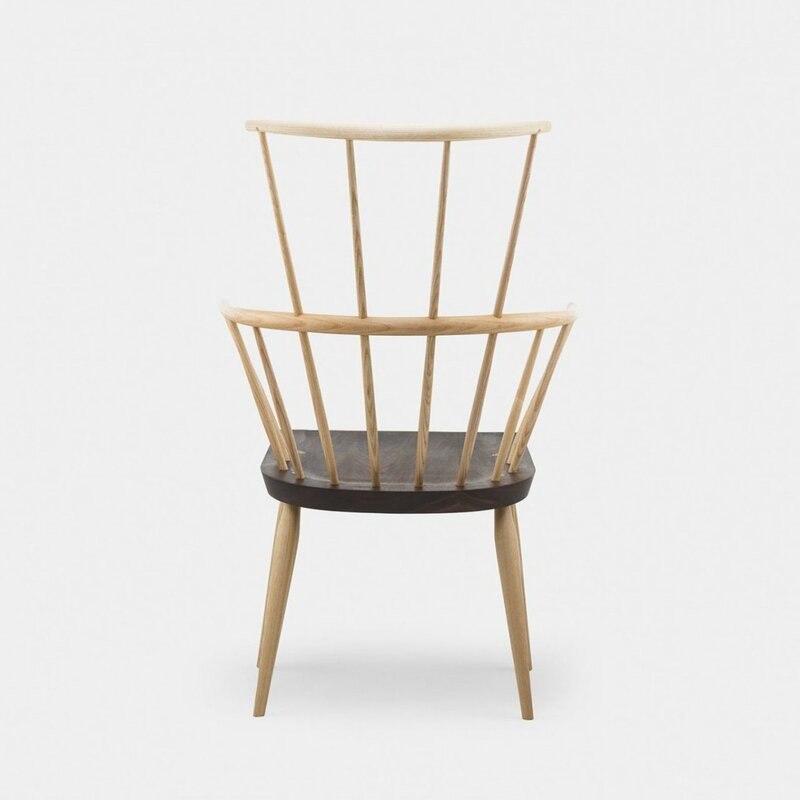 Named after a neighboring village of High Wycome in Buckinghamshire, where the Windsor chair originated. 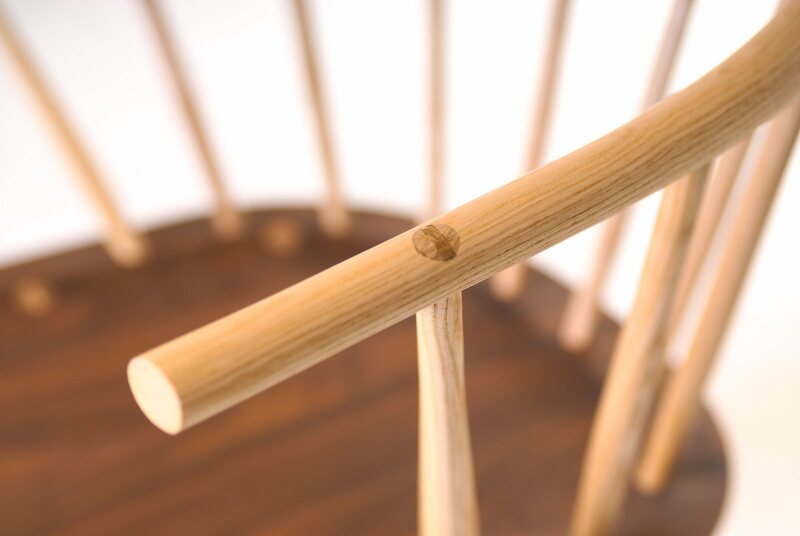 The chair uses traditional Windsor chair making techniques in order to further the story, the evolution of the English Windsor chair. 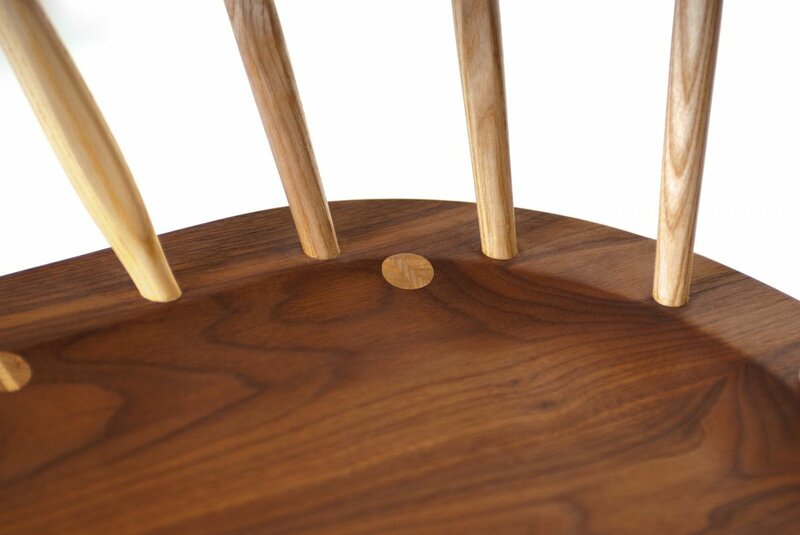 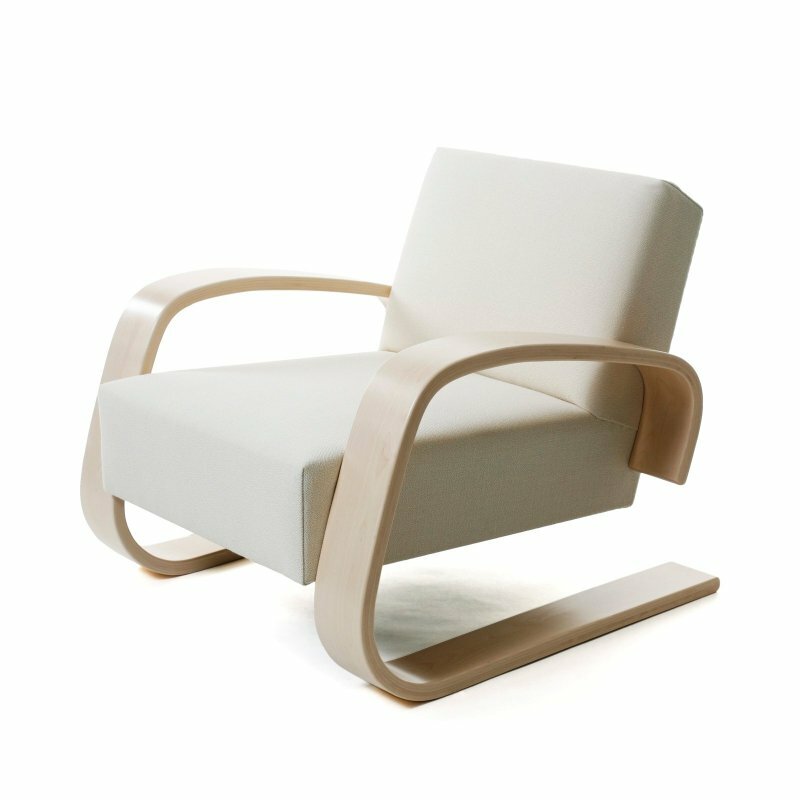 The contrast of the black walnut seat on this otherwise ash chair, attractively highlights the wedge tenon detail where the leg intersects with the top of the seat.